FollowBluCon is Ambrosia’s app meant for Caregivers to help them continuously monitor the glucose levels of their loved ones using their mobile phones – iPhone or Android. The app provides Caregivers with data from patients who have invited them to follow their glucose readings through the LinkBluCon app. A Caregiver can follow glucose readings of up to 20 LinkBluCon app users. 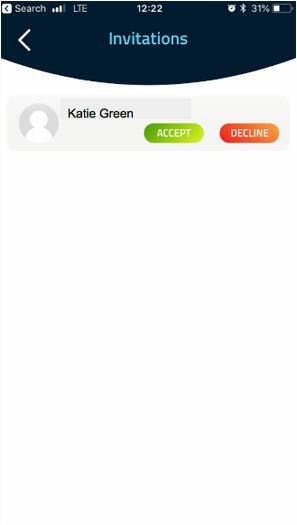 Readings and connection status are updated every few minutes and listed in the same unit of measurement that the LinkBluCon user has configured on his LinkBluCon app. Good internet connection is a must for phones using LinkBluCon app and FollowBluCon app. Otherwise, users will be unable to view updates. FollowBluCon app and LinkBluCon app users must have different email ids. Caregivers can view readings and notes pertaining to the last 30 days of a LinkBluCon user. To view the readings, the Caregiver needs to tap Readings on the home screen of the FollowBluCon app and then four horizontal lines displayed on the screen. The Caregiver can also view the LinkBluCon user’s daily graph and readings through this link. FollowBluCon app is also available on Android and Apple watches. without the need of a Phone. Provides Caregivers with data from patients who have invited them to follow their glucose readings through the LinkBluCon app. 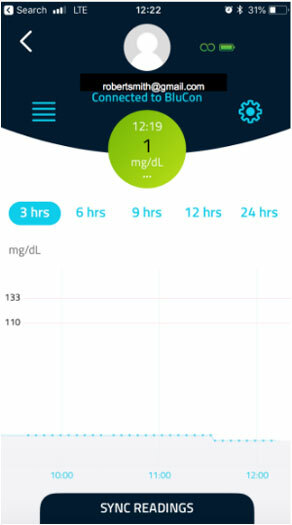 Caregivers can see each patient’s readings, Notes, battery and connection status of NightRider, daily graphs as well as their target glucose range. Caregiver can stop following readings of a LinkBluCon user by turning OFF the follow option on the settings screen for that particular LinkBluCon user.